Interactive Multi-touch Table, a surprisingly versatile instrument, which can be used in various contexts, thanks to the many possibilities of configurations and customization. The interactive multi-touch table is ideally installed in museums, hotels, stores, showrooms, academias, exhibitions and hospitality for viewing video catalogs, commercial offers or sophisticated interactive multimedia applications. Tactive Touch Table is available with a 55″ LCD, Full HD resolution, standard touch screen that can support up to 20 simultaneous touches and a rich set of useful accessories and options to meet the diverse needs of personalization. Designed to be “always on”, it offers excellent performance in terms of ergonomics and readability with a special attention to aesthetics, functionality and usability in particular. Additionally a beautiful elegance can also be seen in the details below deck and vertical column in brushed stainless steel the, everything made essential and extremely compact frame with top quality wood to give it a touch of sophistication that is unique and that cannot be immitated. 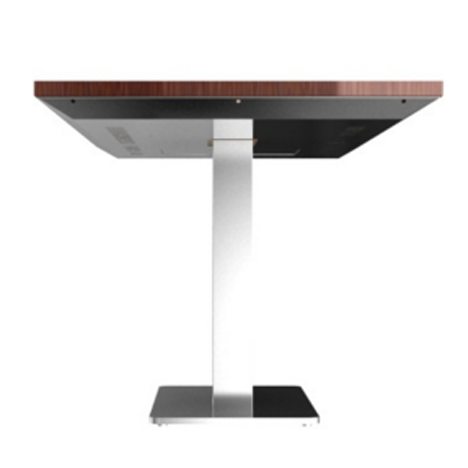 Through the door underneath in the table, you have instant access to your internal devices to perform simple and fast maintenance. Tactive Touch Table can also be used as an innovative marketing tool that can promote a product or service through modern communications, that are innovative and engaging. This product will allow more people to share files and information and to interact simultaneously on different content. Tactive touch table, and innovation in its purest Italian style. The Tactive Multi-touch table is available in 55″ with a LED edge LCD, 20 touches with several accessories and interchangeable frame that can satisfy any type of indoor touch table request. The base of the table is minimal and essential without creating encumbrance to whomever wishes to use the touch-table, however keeping maximum stability and functionality. 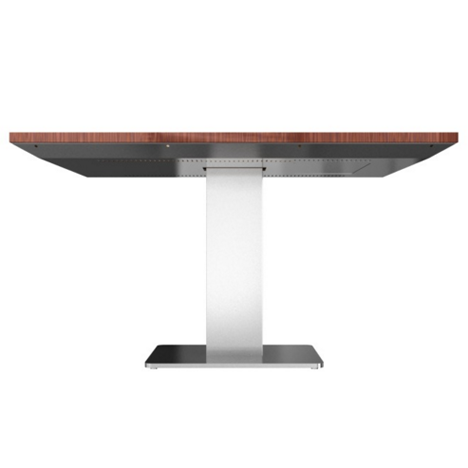 Elegance that can be seen in the details: body and column of the touch table in brushed stainless steel with extremely compact dimensions, the frame in made in fine wood to give it a refined touch of class. Multi-touch Interactive Table, a surprisingly versatile multi-functional tool that can be used in various contexts thanks to its wide range of configurations and custom personalizations. 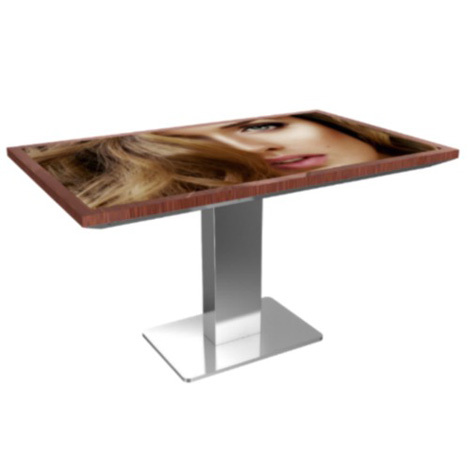 Designed to be used 24/7, the multi-touch table offers optimum performance in terms of ergonomics, readability and attention to details and aesthetics, but most importantly to usability and functionality. MAINTENANCE Quick release modules, minimum on-site repair/service actions. NOTES Touchscreen 20 touches standard, Easy access, customizable satin stainless steel or wooden,Energy saving, High reliability for 24/7 use, Exclusive design.